The fifth 'Pirates' outing only shows the franchise needs to take a knee ... now. The first 10 minutes of the newest “Pirates of the Caribbean” romp suggest the franchise found its sea legs. Then Johnny Depp shows up. That’s not entirely fair, since that sequence has a dollop of wit and whimsy. Those two qualities quickly vanish from Depp’s repertoire. The world doesn’t need another second of Jack Sparrow’s drunken antics. It’s even worse when the screenwriters bury him under the soggiest lines possible. And he isn’t the movie’s only problem. “Pirates of the Caribbean: Dead Men Tell No Tales” continues the lackluster series’ commitment to bloat. Big sets! Big stars! Big budgets! Mostly going for naught, sadly. “Dead Men” opens with surprising snap. A boy seeks out his father, a soul cursed to live at the bottom of the sea. It’s Orlando Bloom’s Will Turner, dropping in for the first time since chapter three of the series. The action flashes forward to the “Pirates” present. The child, now a young man named Henry (a bland Brenton Thwaites) seeks the mystical Trident of Poseidon. Its magic can break the curse afflicting his father. It’s a powerful series of events suggesting an urgent chase to come. But that’s not enough for a “Pirates” movie. We also have Captain Salazar, a zombie given a suitably creepy tone by Javier Bardem. 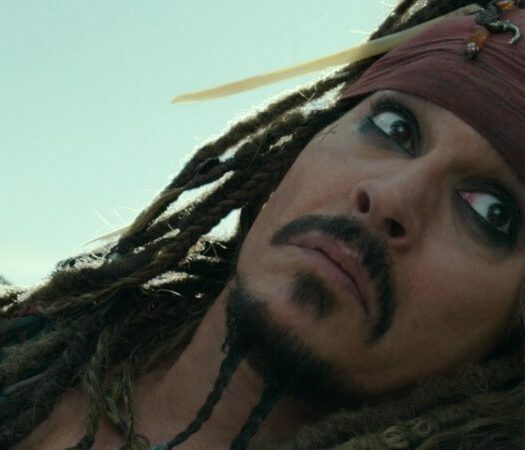 Salazar wants Jack Sparrow dead for trapping him in his undead state. And then there’s Carina (a charming Kaya Scodelario), an horologist with a diary that could lead everyone to the Trident. What’s an horologist? It’s a lame excuse to call the nice lady a whore. Get it? 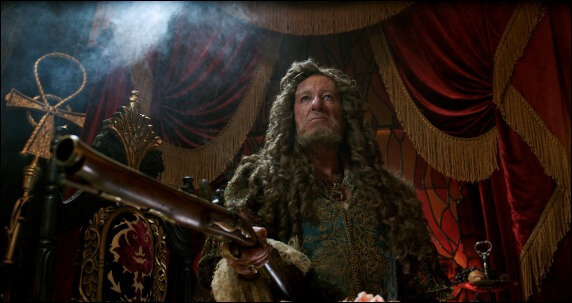 Captain Barbossa is back too, proving that Geoffrey Rush can class up any joint. Any given “Pirates” film boasts an impressive cast. They’re far too good for franchise, frankly. Geoffrey Rush returns to the “Pirates” franchise as the complicated Capt. Barbossa. What about Depp’s Jack Sparrow? He just wants to keep on drinking. And spitting out lines that will make you cringe in embarrassment. Depp IS the “Pirates” franchise, warts and all. And those warts are so omnipresent they’re more pronounced than the occasionally fun 3D visuals. By now Jack Sparrow has nothing left in the tank. Empty. Vacant. It’s all memories of past, funnier performances powering the character now. Depp is content to slur his line readings to the point we can barely understand him. When we do, the dialog isn’t a hundred miles from funny. “The French invented mayonnaise, so how bad can it be,” he says when introduced to a guillotine. You see, since guillotine sounds like a French word, it’s funny! On and on it goes, with an occasionally clever visual moment to keep us awake. And no, the absurd cameo by Macca himself, Paul McCartney, hardly counts. We’re also treated to a young Jack Sparrow tale, aided by some nifty CGI handiwork. That digital flourish also makes Captain Salazar’s hair a thing of wonder, too. The character moves above water, but his hair perpetually floats in an invisible sea. It’s a brilliant special effect. The whole movie looks impressive, to be fair. Massive ships. Deadly enemies. “Dead Men” is gorgeously rendered but soulless to the core. To see just how far the franchise has fallen just consider the film’s “wedding” sequence. At one point Depp is forced to marry a woman. Not just any woman, though. This gal is large. And ugly. So we see Jack cringing at the thought of even kissing her. Mocking fat ugly woman is comedy gold, amirite? Remember, these are professional screenwriters at work. At least Bloom had the good sense to appear only briefly in the latest chapter. If that check clears, though, don’t be surprised to see him in part 6. 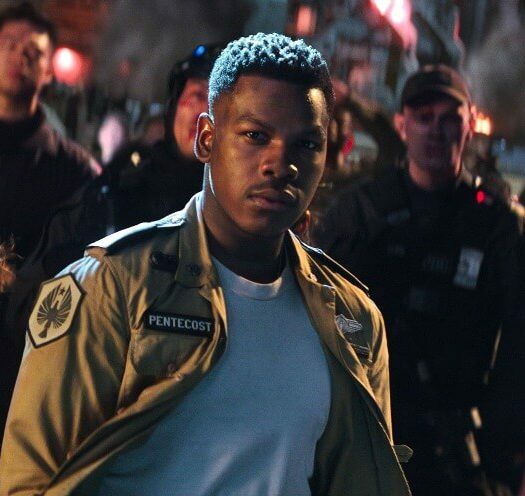 Like Captain Salazar, this franchise won’t let its creative death get in the way. HiT or Miss: “Pirates of the Caribbean: Dead Men Tell No Tales” is simply more of the same – franchise bloat with an increasingly irrelevant character at its core.